Although the Holy Spirit is sometimes the forgotten Person of the Trinity, His presence and work is found throughout redemptive history. In this twelve-message series, Dr. Sinclair Ferguson traces the work of the third person of the Trinity through Scripture - from creation to the work of Christ to His dwelling in our hearts today. Along the way, he sheds light on the vital role the Holy Spirit serves. Dr. Ferguson’s goal is to help us know the Holy Spirit as a person, in addition to knowing of His power and work within us. 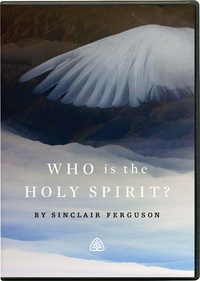 I first watched Dr. Ferguson's series on the Holy Spirit last year when it was brand new, and I can safely say that it completely revolutionized by thinking about the Holy Spirit. I grew up in a Protestant, Reformed church, but I never truly pondered the person of the Holy Spirit; rather, I assumed he was a "force," a being that simply was a tool of the Father and the Son. Ferguson's teaching series summarily changed my entire thought process on the person of the Holy Spirit. Get this series.